For an exclusive insight into Lost in Lace, take a curator-led tour with Lesley Millar MBE, Professor of Textile Culture at the University for the Creative Arts. Tours cost £2 and will be held on the following dates, (no booking is required). Self-led group visits are free. Groups of 40 or more must book their visit in advance. 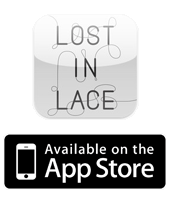 A private one hour tour is an excellent way to make the most of your visit to Lost in Lace. Tailored tours can be arranged for £50. Feeling creative or keen to learn more? Try finger knitting, create your own paper lace pattern, browse the exhibition catalogue, explore architectural projects inspired by lace, all within Your Space, a learning and activity zone within the exhibition. Download the Gallery map to help plan your trip. A Lace Trail takes you through the picture galleries, highlighting lace depicted in clothing and costumes in works of art from different centuries. 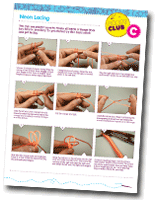 Try these 3 worksheets to make some lacy creations of your own. The materials you need are easy to find. Watch out though, finger knitting is dangerously addictive! Find Ultra-quiet and powerful generator for camping season hondagenerators.us Buy Yankee Stadium Resale Baseball Tickets at www.grandtetonbrewing.com, they have the Lowest Prices for MLB Are you looking for a single game tickets to red sox game, do not think twice and go to https://steamworksbrewing.com/the-events-calendar/deals/red-sox-tickets.html. The have a lot of different options for home games.